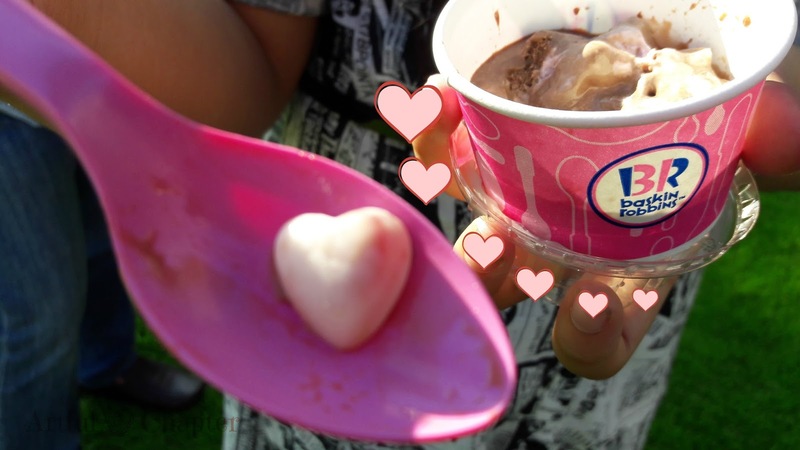 Yesterday, I went to the opening of the 14th branch of Baskin-Robbins in our country. 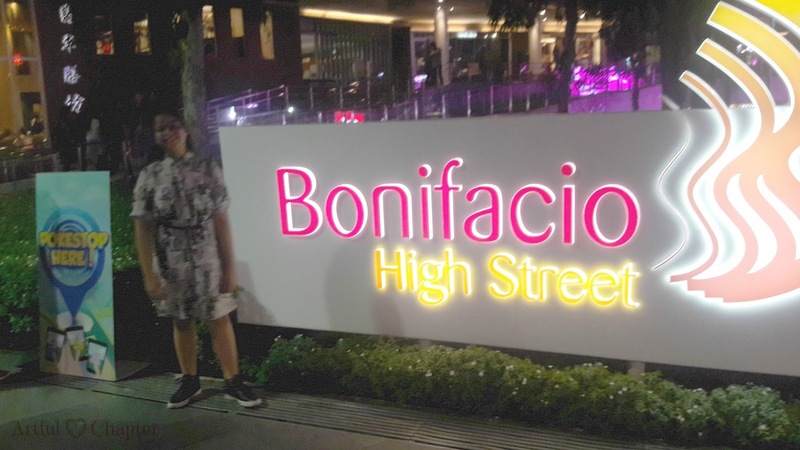 It can be found at B8 Bonifacio High Street BGC, Taguig. 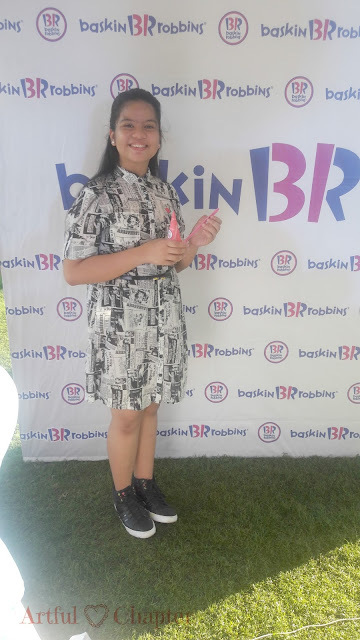 So what did I choose to wear for such an event that spells fun and a lot of delicious ice cream? This Baskin-Robbins branch is located in one of the trendier spots in the city - Bonifacio High Street. I had to make sure that I choose something that is trendy but comfortable. It was a very hot day, after all. When my family got to the store, there was already a long line of people wanting to sample Baskin-Robbins ice cream. There was a special offer to buy an ice cream scoop for only PHP 31. This offer was good for the whole day. When I heard that Baskin-Robbins also had ice cream cakes, I simply had to see the choices for myself. I have been requesting my mom for one since my last birthday. Maybe this year I would get that wish. 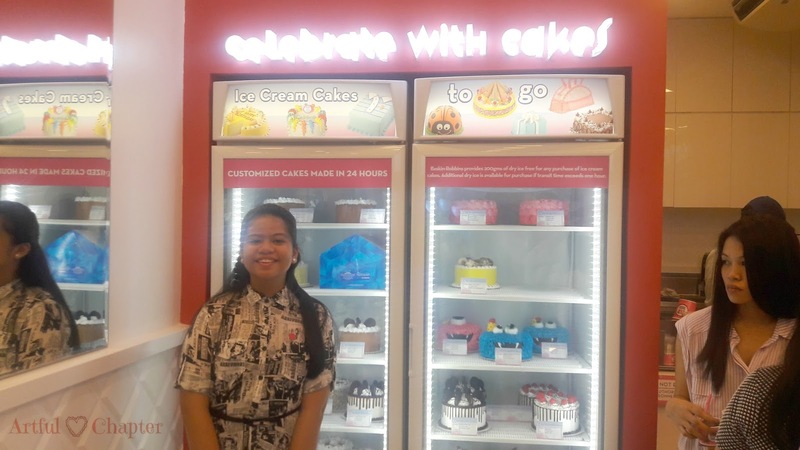 Imagine getting my 2 favorite desserts which are cake and ice cream, in one? So What Did I Wear? I chose to wear a shirt dress of light material with comic book prints in black and white. I also used a black skinny belt for accent. And since we hardly ever find a parking space very near our place of destination at BGC, I played it safe and wore my reliable black mid cut rubber shoes so I'm ready for walking. Wearing the right clothes for an event makes it possible to maximize enjoyment. Eating ice cream wouldn't be as much fun if I have to be limited by my clothes. No heavy clothes, and certainly no part of the clothes that can accidentally dip in ice cream. 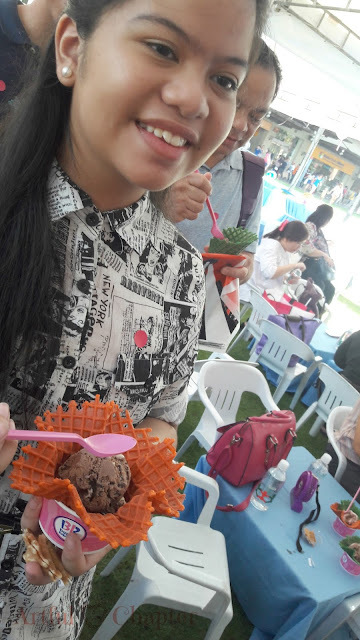 I so love all the Baskin-Robbins treats that were served. It was already dark when we left BGC. I'm happy to know though that I can look forward to delicious ice cream every time we come back. Try some yourself. You won't regret it. For more updates, check out www.baskinrobbins.ph or its social media accounts: facebook.com/baskinrobbinsph, Twitter, and Instagram @baskinrobbinsph. Reading a book I borrowed from our school library. 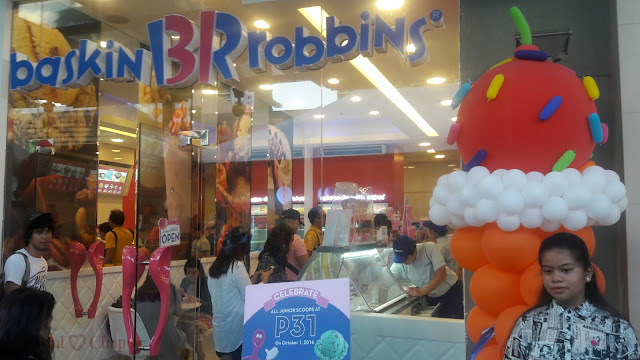 Baskin-Robbins at B8 Bonifacio High Street BGC, Taguig.